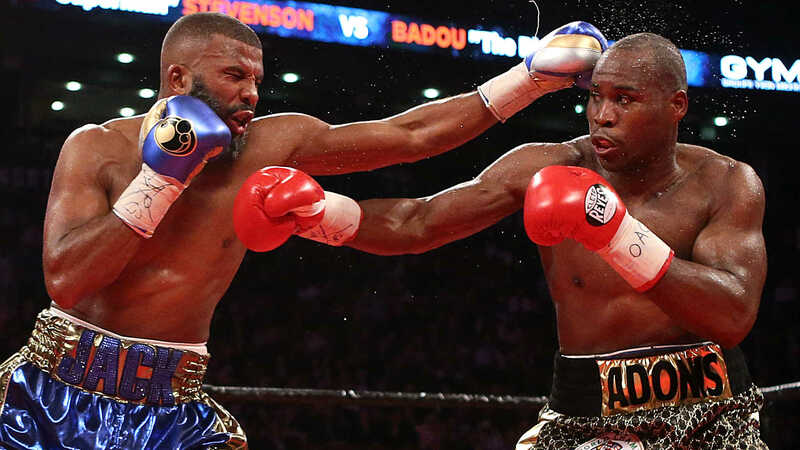 Sergey Kovalev’s (31-3-1, 27 KO’s) reign as Light Heavyweight Kingpin came to an end on Saturday night, when Eleider Alvarez (24-0, 12 KO’s) knocked him out in the 7th round of their championship bout. Alvarez has waited for his opportunity for a number of years now. He has been the mandatory challenger for Adonis Stevenson for quite some time now, but never got the opportunity to fight the WBC champ. Adonis has been known to dodge his mandatory contenders so this was nothing new. Sergey Kovalev defended his WBO title against Alvarez, and the results are not favorable for Kovalev. Sergey Kovalev looked to be in complete control of the fight in the beginning. I scored 1 round for Alvarez through the first 6 rounds. Kovalev out worked Alvarez in rounds 1 & 2. Alvarez landed so big inches in the 3rd that seemed to bother Kovalev a bit, but at that point he was in no real danger. Kovalev came out in the 4th, out working Alvarez, and landing the more meaningful punches. The 5th and 6th rounds were more of the same, and things were not looking good for the challenger. With a little over a minute left in the 7th, Alvarez nailed Kovalev right in the temple with a huge right cross, and Kovalev went down hard. Temple shots tend to throw of equilibrium and take long to recover from, and Kovalev was not looking good. About 15-20 seconds later, Kovalev walked right into a left hook that Alvarez followed up with a right hand, and Kovalev went down again. He would get up before 10, and continue. Pretty much on dream street, one punch would end the fight, and thats exactly what happened when Alvarez nailed him again. The referee stopped the fight, and just like that the reign was over. Eleider Alvarez is the new WBO Light Heavyweight champion, and the #1 fighter in the division. As it often happens when friends fight one another, we do not get very interesting results in the boxing world. 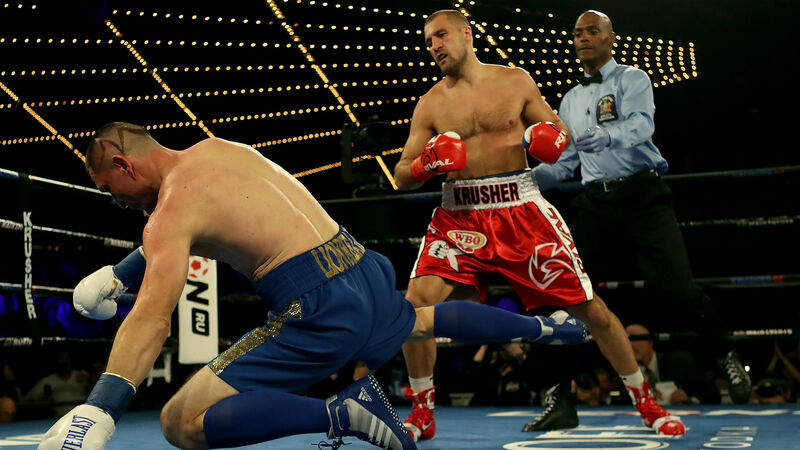 This was the case last night on HBO Boxing, as Sergey “Krusher” Kovalev (32-2-1, 28 KO’s) tore up the face of his friend Igor Mikhalkin (21-2, 9 KO’s), and won by 7th round TKO victory. In the first 2 rounds, Kovalev almost looked reluctant to unload his usual arsenal towards Mikhalkin, and that may have very well been the case. Need the less, he did win every single round in this fight. After the second round, Mikhalkin’s face looked to become target practice for Kovalev, even though Mikhalkin did have dos moments here and there. 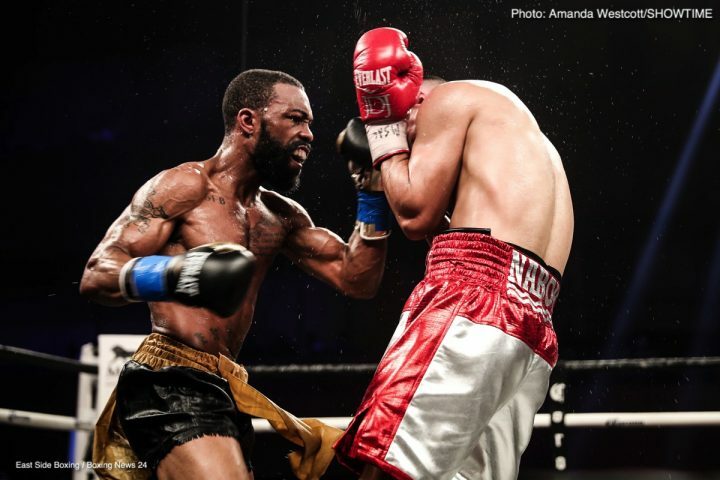 Mikhalkin, being the slick boxer that he is, did land sporadically on Kovalev’s face, but with virtually no power behind his shots.If he did have some power, this would have made for a more interesting fight. Kovalev however, did open up 2 gruesome cuts under Mikhalkin’s right eye and on the bridge of his nose via accumulated punishment, and the referee was forced to stop the fight under doctors orders in the 7th round. The co-feature was a very one sided fight as well, as Dmitry Bivol (13-0, 11 KO’s) defeated Sullivan Barrera (21-2, 14 KO’s) via TKO in the 12th round. Bicol was the faster and stronger puncher and won every round of the fight, as Barrera struggled to find and answer for his offense. Bivol slowed down a bit in the middle rounds, but was ultimately able to dispose of Barrera in the final round. Bicol landed a power jab which stunned Barrera in the 12th, and followed it up with a jab and a monster right cross the the temple, which put Barrera down. Barrera beat the count, getting up at 9, but the fight was stopped by the referee, as Barrera clearly had nothing left. Bicol remains undefeated, and close to the top of the Light Heavyweight division.